Basic DeltaV replaces and improves upon the stock dV system. 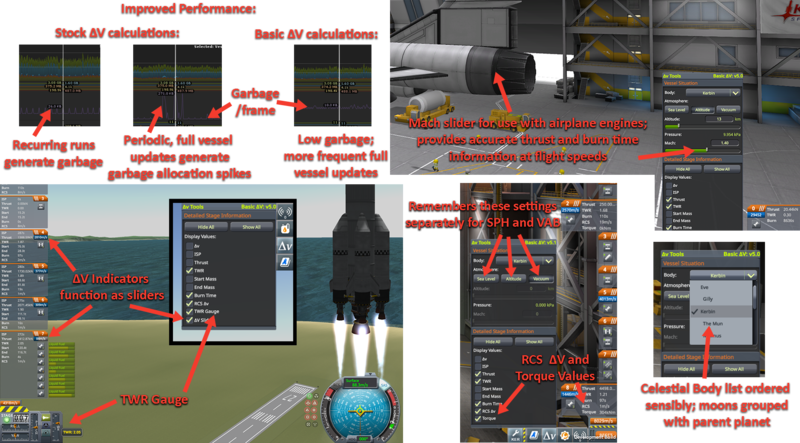 All stock deltaV calculations are replaced using a modified version of the Kerbal Engineer Redux vessel simulator. 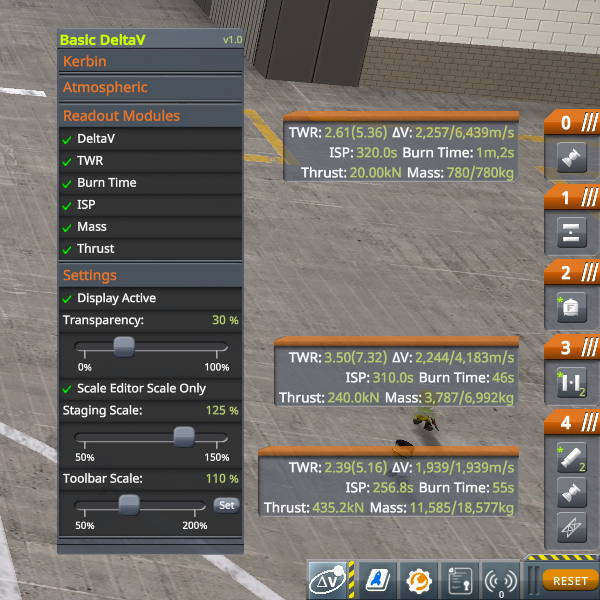 This mod uses the vessel simulator code from Kerbal Engineer Redux. You can expect the information to be the same as that provided by KER and for the same limitations to apply. Please do not post bug reports for KER when using Basic DeltaV unless they can be independently replicated in KER.